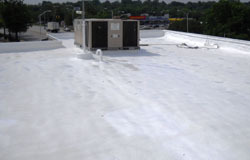 The MTA’s roof had extremely high energy costs and a badly leaking roof. 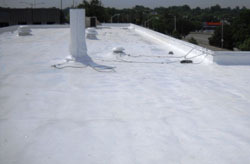 Their study of choices to solve their problems led them to a foam roof with extra-durable coating. 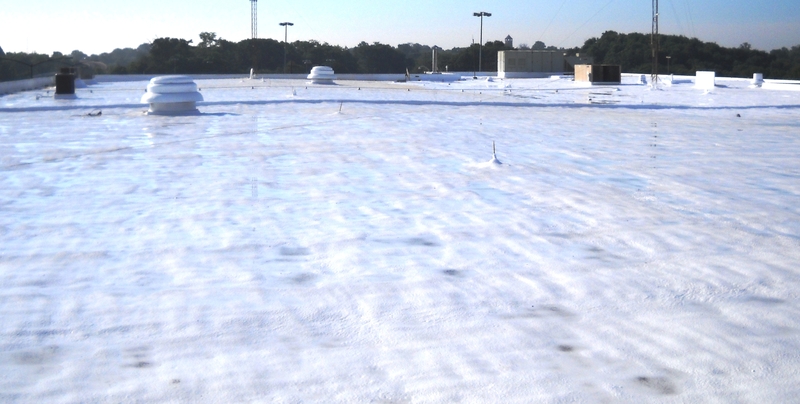 Gravel was removed from the existing roof and three inches of VFI polyurethane applied over the entire roof surface. Expansion joints received a fourth inch. A total of 70 mils of polyurea base coat and top coat were then applied over the foam. Around mechanical units and projections an additional 50 mils was added. Time was a major challenge as the project had to be completed within 45 days. Track side training was required for all personnel prior to their work due to the hazards of the rail service. Limited set-up/work areas meant materials were stored off-site and delivered to the site daily. 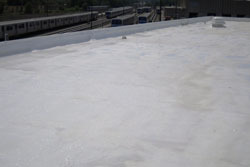 The MTA is a three-shift operation, so FoamCoat had to work quickly, with minimal disruption.